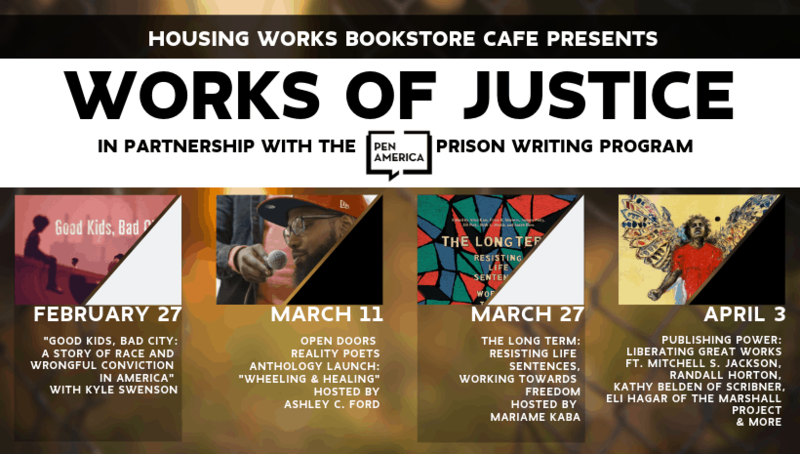 Housing Works Bookstore and Cafe partners with the PEN America Prison Writing Program for the Works of Justice event series, kicking off with Good Kids, Bad City. Award-winning journalist Kyle Swenson joins us to discuss his first book about the true story of the longest wrongful imprisonment in the United States to end in exoneration, and a critical social and political history of Cleveland, the city that convicted them. In an immersive exploration of race in America, Swenson investigates this disgraceful miscarriage of justice, and how the corruption and decay of Cleveland led to their wrongful imprisonment. Kyle Swenson is a reporter with The Washington Post‘s Morning Mix team. Prior to joining The Post in 2017, he covered South Florida for the New Times Broward-Palm Beach. His reporting on the criminal justice system and features have won several national awards, including the Sigma Delta Chi award from the Society of Professional Journalists and the Salute to Excellence Award from the National Association of Black Journalists. In 2015 he was a finalist for the Livingston Award for Young Journalists. His work has appeared in The Village Voice, The New Republic, and Longreads. A graduate of Kenyon College, he lives in Washington, D.C. Good Kids, Bad City is his first book.